Business website packages and prices tailored to match your needs regardless of budget. Our structured approach will have your new web presence up and running quickly with everything you need to attract new business from only £495! Our business websites are developed using the latest versions of Bootstrap Framework & WordPress, an enterprise level Content Management System used by global businesses such as Facebook and the BBC. 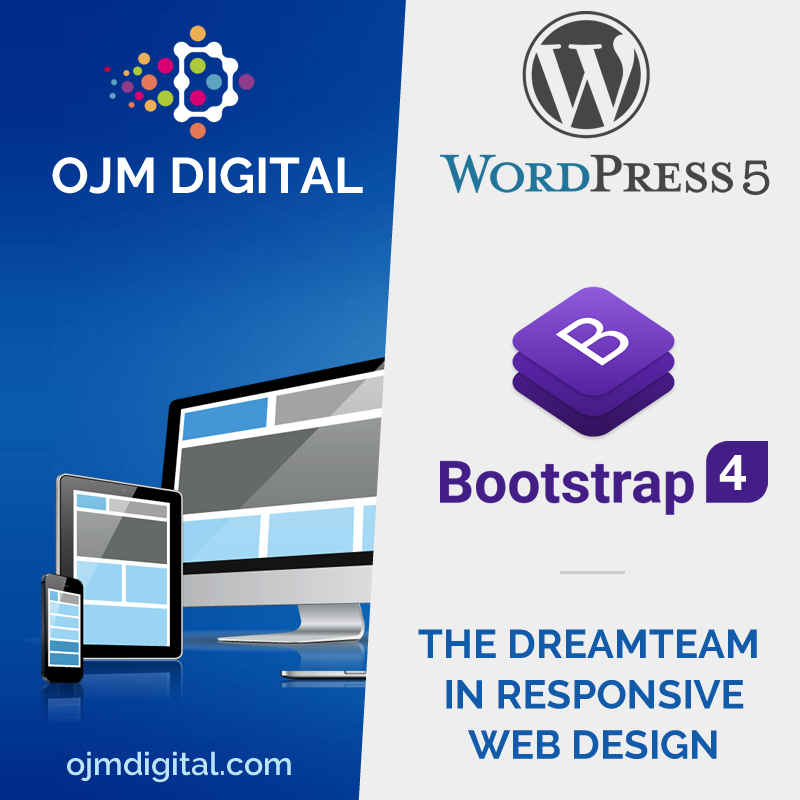 We don’t just preach however, ojmdigital.com is built on Bootstrap & WordPress. Using WordPress, we’ll deliver you a mobile responsive website which will look fantastic on all devices and provide you with a feature rich content management system giving you the ability, if required, to manage the entire website and start generating new business. If you don’t want to manage your website then we will do it for you. Our basic package is perfect for businesses who want a simple website with their company information. We’ll find the perfect responsive template for your business and implement your provided content and logo. Our brochure package is perfect for businesses who want to let potential customers know what services they provide and a little more information about their company. We’ll find the perfect responsive template for your business and we’ll then implement your logo, colours, branding and copy to make the site yours. Business Pro is packed with everything your site will need including logo redesign, blog and Google My Business page setup. Our Premium package is ideal for larger businesses that need extensive design and custom CMS functionality. Extra features are included by default and we’ll also provide your website content throughout your website.